March | 2013 | YesBiscuit! SPCA of Southwest Michigan is a registered 501(c)(3) not-for-profit animal welfare organization. We do not receive funding from any government agency or national organization. We operate solely on privately donated funds and adoptions fees. Therefore, unlike county pounds, SPCA is not subject to any government regulations requiring euthanasia as a means of managing our population of rescued pets. 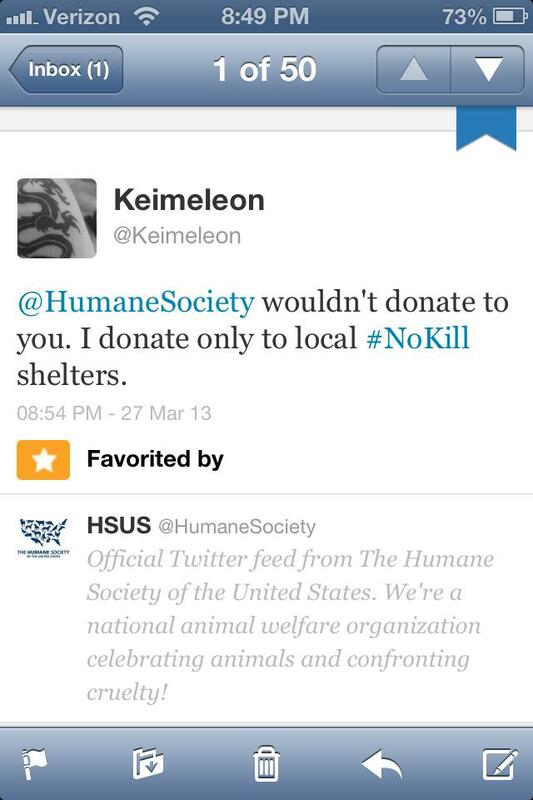 To my knowledge, there are no government regulations requiring shelters to kill pets for population control. In any case, there is a law in MI that requires all licensed shelters – public and private – to report anual statistics to the state. The SPCA of SWMI last reported in 2008. It does not appear they reported in 2011, 2010 or 2009. In November, two dogs were euth listed. Jacobi and Lolly Doo (now Elsa). 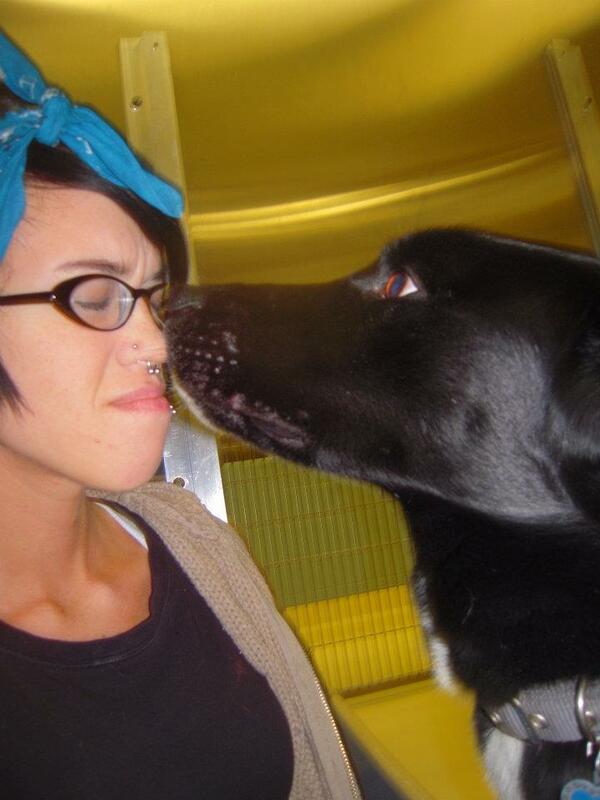 Jacobi growled at her kennel door, but once you opened it she was a peach. She was timid in the shelter but a happy, normal dog otherwise. Elsa was there for 5 months, during which she ran from everyone and was completely terrified. 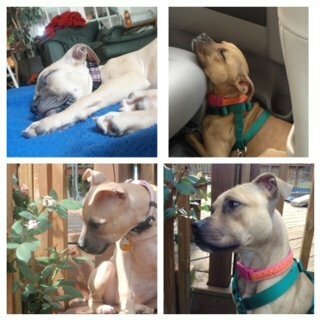 She was pulled [from the pound] because she was pregnant, and puppies are $375 apiece at the SPCA. After her puppies were adopted she languished in the kennel for five months, heart worm positive, and no one did any thing for her until it was announced she needed to be euthanized, along with Jacobi. So a coworker and I offered to foster them. Katie [Meskil, director] said that was not an option. We could either legally adopt them, or they would have to be euthanized. Did not make any logical sense to me, so I said OK, I’ll take Elsa. [The co-worker took Jacobi and] I took Elsa, and Katie had me sign this “waiver” she hand wrote. Elsa is a shy dog, but she is absolutely not a bite risk, warms up to new people with ease, and loves my youngest dog. 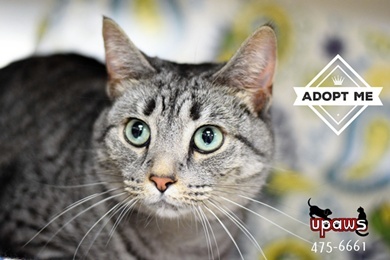 She’ll need a forever home that is aware that she will have to warm up to them and they will have to be kind to her, but absolutely not a euth candidate. She, like the others, has no assessment paper work. All I was given was that hand written “waiver” and a scant medical sheet that says she got a bordetella vaccination and tested HW+. 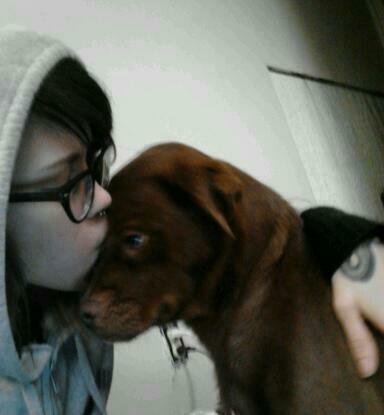 I treated her heartworm and had her spayed and vaccinated, by vets who were strangers to her, without issue. I note that in the waiver for Lolly Doo/Elsa, director Katie Meskil writes that the dog is “feral” and that her positive heartworm status is “contagious”. While the former is an opinion, and not borne out by the fact that Elsa is obviously able to be handled, the latter is scientifically unfounded and outright false. Furthermore, the disturbing bit at the end of the waiver, that Ms. Faulkner can never return the dog to the SPCA, strikes me as a condition no compassionate director would ever place upon any pet adoption, regardless of circumstances. 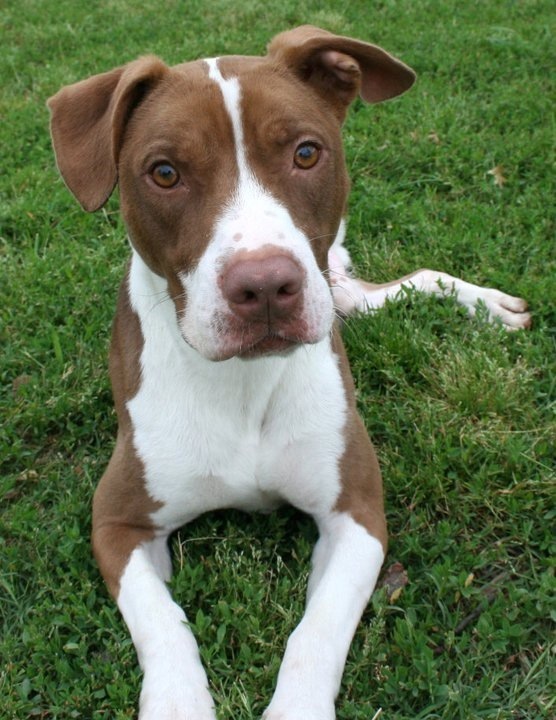 Rex was a shy guy who went into an inexperienced foster home. The first day he was there, the foster’s roommate leaned over to kiss his head and he nipped her in the face. I heard various stories of “plastic surgery!” and “dozens of stitches!” but when I spoke to the actual foster she stated she had a gash on her lip and they were really sorry and did want to foster him after his quarantine was up. He sat in “quarantine” for over a month. 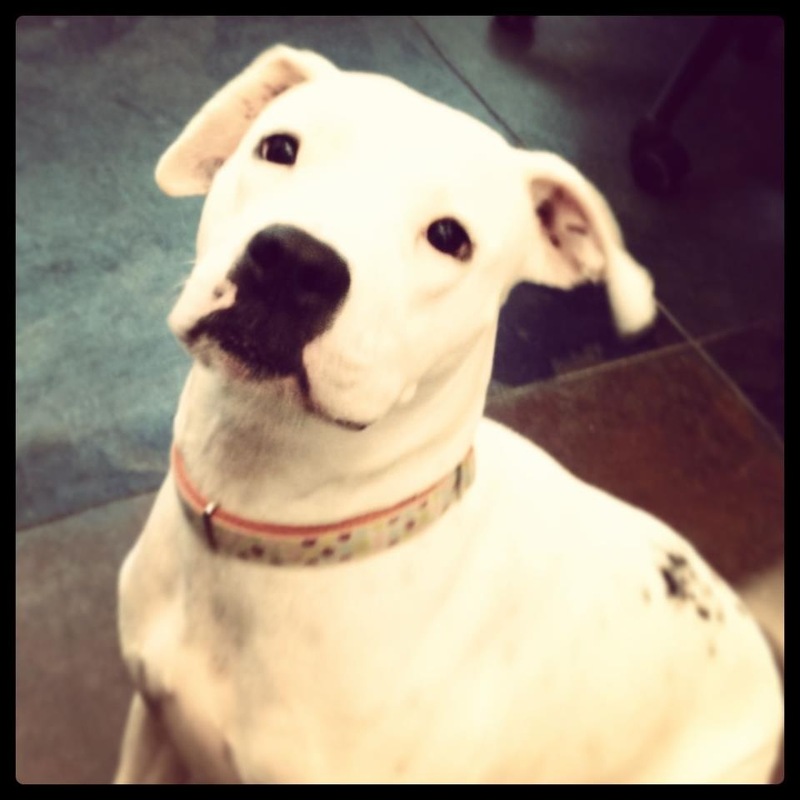 Banjo was in the healthy kennel, available for adoption, until one day she had a “staff only” sign up. When I inquired with the operations manager Katie Meskil as to why Banjo was on “staff only” she stated she was a “bad dog” and “people are scared of her” which was not my experience with Banjo in the slightest. She had no bite record, never so much as growled at any one. 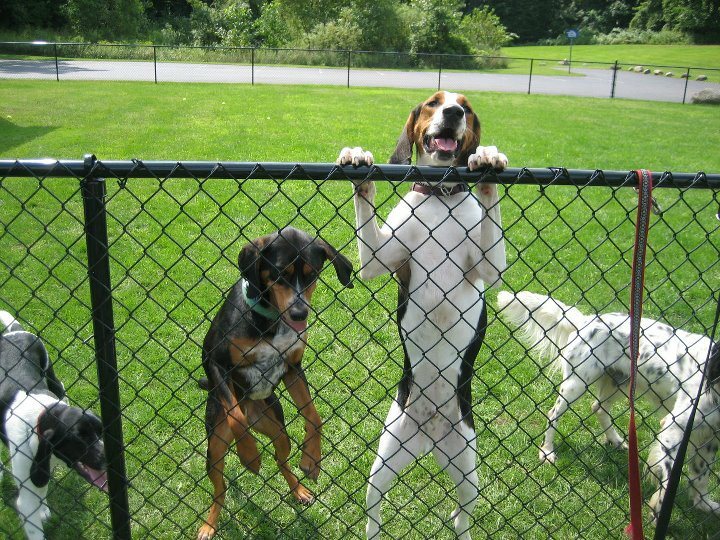 The day Rescue Waggin brought up 20 some puppies both Rex and Banjo were abruptly euthanized and their kennels filled. Supposedly they were assessed and failed, but Katie Meskil never offered up that assessment information to the staff. I expressed my displeasure with the situation, as I was close with both of them, but she refused any further information, told me this is what has to happen and I need to understand that, and then later told me that while the vet was euthanizing them she pointed at them and said, “This is what you get for being bad dogs!” I don’t care if this is excused as “care givers fatigue” because it was insensitive to me, and disgusting. I left off with telling her that I had many rescue connections and would have easily placed them elsewhere. I never saw a single assessment on them and NO ONE was told they were even candidates for euthanasia. We were told multiple times and in our handbook that in the event of a euthanasia decision, staff would be told and given the opportunity to say goodbye. There is also a form they have to fill out and I was not afforded the opportunity to look at that for either of them. Rex and Banjo were callously euthanized in the office where we pick up our checks, their bodies left laying on the floor. 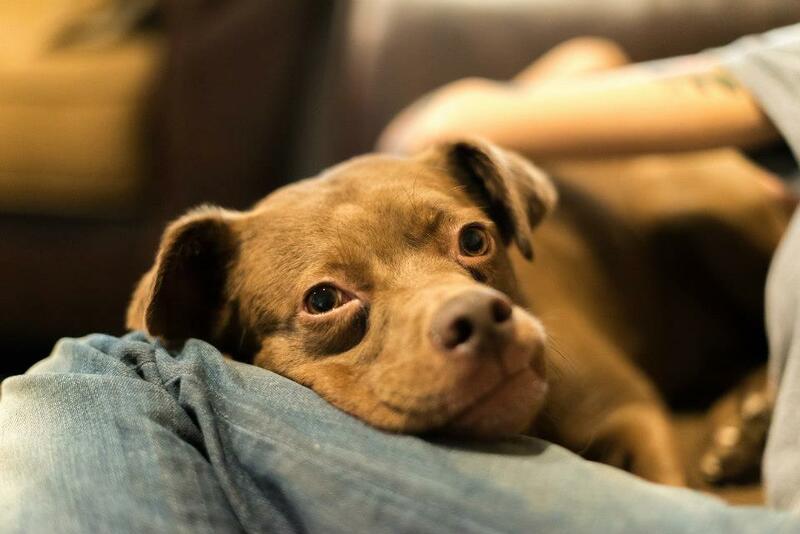 Artie was at the shelter for a year and a half, in and out of foster homes. Then surprisingly Artie was adopted by a couple with a 5 year old son on April 4th 2012. He was returned Sunday, April 15th 2012. The SPCA is closed on Sundays, so I was the only available person there. I talked with the man who returned him. He was very upset and explained that he did not want to return him, but his wife was afraid of him. The reason they were returning him was because while Artie was asleep in their bedroom on the bed with them their son opened the door in the middle of the night and Artie woke up barking at him. The next day after I did the leg work I informed Katie I had gotten Artie into three different places and I would pay for his flight to any one of them. Katie stated she didn’t care and to take him. Tuesday she tells me a tale that the board said no, there is nothing she can do, so sorry. When I contacted [a board member], he informed me that the board is not involved in euthanasia decisions nor do they even know about them. When volunteers and I kept questioning why I could not send Artie to places he was wanted, Katie informed everyone that Artie had attacked a sleeping child and he needed to be euthanized and that was that. She began to verbally reprimand me daily for asking about him. I pleaded AGAIN that it would cost the shelter absolutely nothing for me to send him to these places and that they wished to talk to her about their credentials and ability to take him. She told me she could not afford to give me any time off to move him, and when I countered that I needed no more than one of the two days I ALWAYS have off a week, she said “end of conversation”. Cobalt was set up to fail by staff. A staff member transported him to be neutered at a vet clinic, where they had a free range office cat. Cobalt began lunging and straining for the cat and rather than removing him from the situation he pulled away from her and bit the cat. He bit a dog at the shelter as well when another staff member put him outside with a small Jack Russell. He was euthanized because of incompetent staff. Katie asked me if I could find a certified person to evaluate Artie and Cobalt (I had many) only to euthanize them both on my day off. I do not believe any evaluations ever happened, again. I was never able to locate even a file on either of them after they were killed. This is the form Ms. Faulkner states is supposed to be a part of every killed pet’s records at the SPCA. 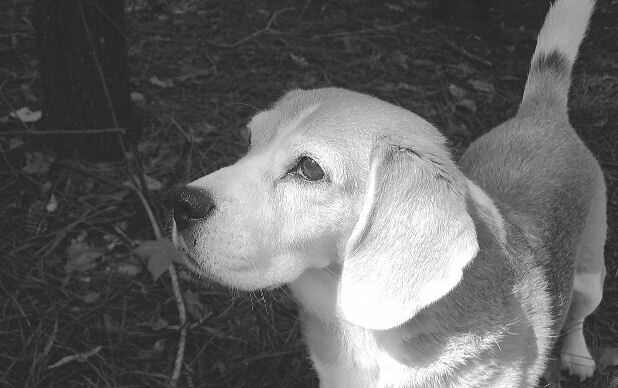 The last dog for whom Ms. Faulkner advocated before leaving the SPCA of SWMI was a puppy named Buddy. 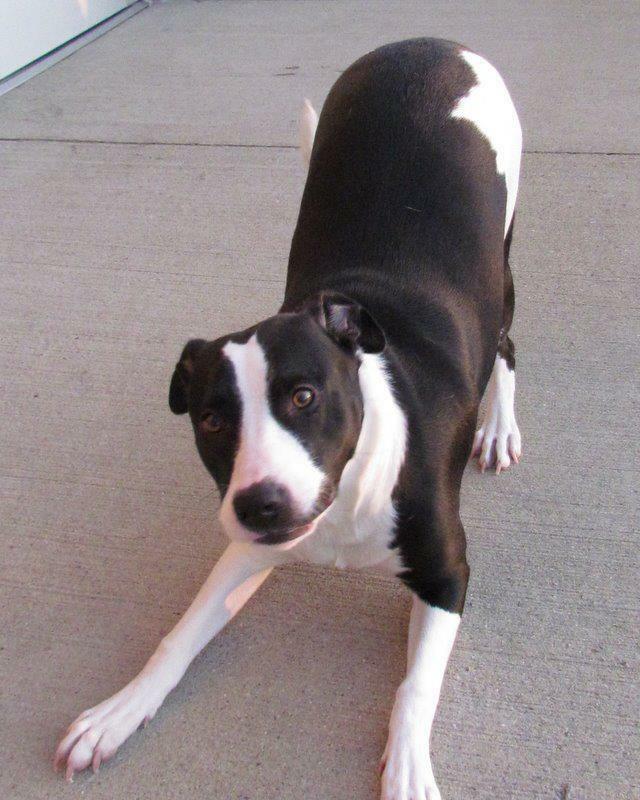 Buddy came from the Carthage HS in Missouri via Rescue Waggin at the end of October 2012. He was 8 months old. Rescue Waggin had evaluated and passed him, which was a requirement for transport. The Rescue Waggin website states they only deliver “behaviorally and medically sound dogs and puppies” to shelters. 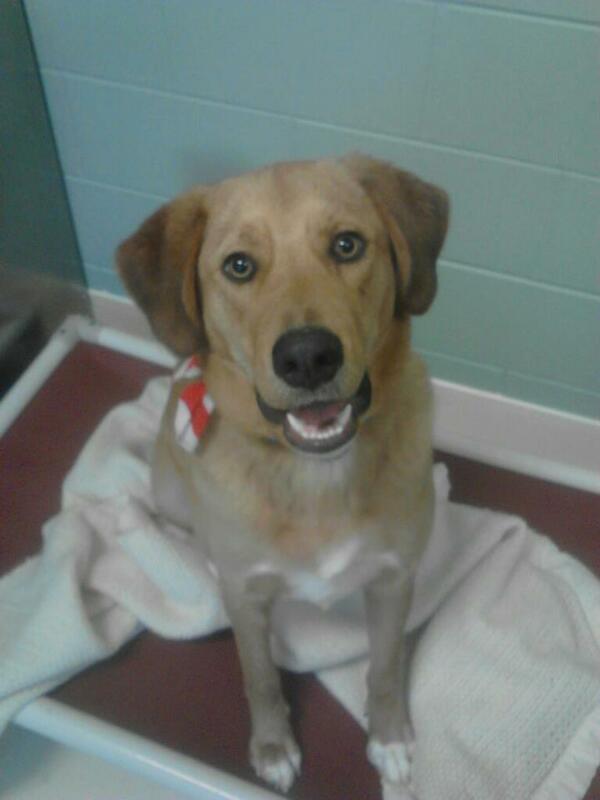 After a few weeks at the SPCA of SWMI, Buddy was assessed and passed again. A handwritten note on Buddy’s file describes him as “mouthy but very sweet” and “high energy”. Buddy was adopted in December and returned a few weeks later. Ms. Faulkner provided the portion of the owner surrender form that was completed by the adopter at his return. The adopter stated Buddy was being returned due to allergies and her long work hours. Buddy was adopted again immediately but returned after a few days for being mouthy and unruly. (Ms. Faulkner has copies of all the documents in Buddy’s file here. There was no surrender form from the second adopter in his file, per Ms. Faulkner.) Buddy was placed in quarantine, despite the fact that no one had reported a bite. 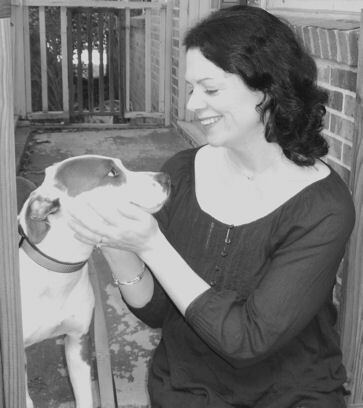 Ms. Faulkner, who had already given her employer two weeks’ notice, was concerned that Buddy would end up being needlessly killed like the other dogs she had tried to save. She decided to take her concerns to the public this time in hopes of getting a better result. She posted about Buddy and her fears that he would be killed on Reddit (here and here) and on Facebook. (Please take a few minutes to read the posts as their content is important to the story.) In response to the posts, people began contacting the SPCA of SWMI to advocate for Buddy’s right to live. Ms. Faulkner says she did not call or e-mail the shelter herself as she had no need to – she worked there. Hi, if this is Stephanie’s number, this is Tim Briggs with the sheriff’s department. Uh, I just wanted to call and let you know a complaint has been made against you by Katie and uh, basically I’m just calling to tell you to not send any more e-mails, not have any more of your friends send any more e-mails to her in reference to the dog shelter. Uh.. if it does persist and they keep doing it then uh.. we’ll find out who the other ones are- of course I already have their names and charges will be brought against you so.. hopefully if you just stop doing it that’ll be that. Also, Katie told me to tell you that uh.. you’re not to report to work any more. Apparently you.. already have given your notice and already have another job so… but you don’t have to report to work any more. If you have any questions, please give me a call [his apparent cell phone number]. Thank you. Still with me, faithful readers? Good, Now please fasten your seatbelts and make sure your tray tables are in the upright and locked position as we prepare for takeoff to Nuckin Futz. Although Ms. Faulkner stopped reporting for work, as directed by the officer, she still wanted her final paycheck that she was owed. And since the officer never said anything about not going to the shelter ever again, nor had anyone from the SPCA contacted her to formally terminate her employment, she felt it was appropriate to go there to pick up her last paycheck on Wednesday, the regular payday. She went to the shelter during regular open hours and entered through an unlocked door. She says there were cars in the parking lot. While there, she visited Buddy and made two short videos of him to showcase his personality in order to aid the advocacy efforts on his behalf. She posted both videos on Facebook that night. Stephanie, This is deputy Robert Smith with the Kalamazoo County sheriff’s department and it’s Thursday, February 14th 7:20 PM. Might want to write this case number down. One three dash one four five six. I’m currently at 6955 West KL [address of the SPCA of SWMI] reviewing a video that you were in here sometime after deputy Briggs told you not to return. Now, breaking and entering even if you had the key is still a five year felony minimum. Might want to contemplate that because a five year felony will not do one’s career very well. It’s a real easy deal- Deputy Briggs told you to cease and desist on the calls and the Facebook and Reddit type stuff, but now that we got the copy of the video of you being in here- especially because you were next to a dog that didn’t come into the facility until 4:30 PM on Tuesday, you’re sort of going down a river without the paddle, you know what I mean? So here’s the way the games gonna be played: You cease and desist, or at any time they have the right to get a hold of their SPCA attorney and lay a five year felony on you. Now I’d suggest you put one hand on each side out and sort of weigh it out- is it worth it doing all this garbage? Or do I really want a five year felony? You can decide, I’m just letting you know how they want to play the game. I’m here right now if you’d like to document I’m actually here please feel free to call the sheriff’s department [number] and ask them if a deputy Smith came out to the SPCA and the case number’s one three dash one four five six. Hopefully deputy Briggs or myself won’t need to talk to you any further. Thank you. OK, most of you probably just fell out so I’m going to pause here for a bit to let you regain consciousness. Let’s be clear. The video shown to the deputy was not some sort of surveillance camera footage depicting Ms. Faulkner chucking a cinder block through a window of the shelter and climbing in to ransack the place. The video shown to him was the one she posted on FB of Buddy being a big puppy lovebug who hadn’t yet been taught proper manners. And last I heard, our justice system has not been reduced to the SPCA lawyer deciding who to “lay” five year felonies on. I am neither a police officer nor a lawyer but I understand that many places have actual laws against bullying and harassment. As long as we are putting one hand on each side out and sort of weighing it out, I guess I just wanted to toss that in there, for your third hand or whatevs. I don’t know, maybe the Kalamazoo sheriff’s department and the SCPA of SWMI have a Secret Book O’ Lawz which says that shelters are required to kill pets for population control, the SPCA of SWMI does not have to report its statistics to the state, and individual lawyers walk around laying felonies on people their clients don’t like. 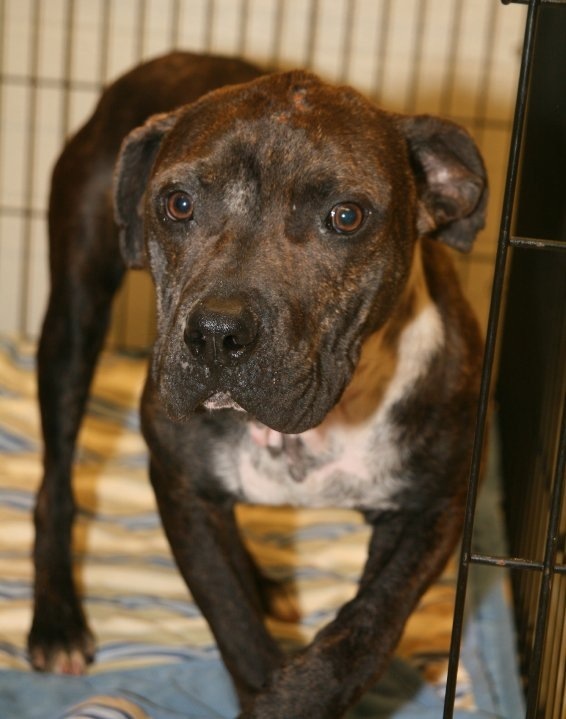 At the time Ms. Faulkner left the SPCA of SWMI, Buddy was alive but she was deeply concerned about him. She contacted every rescue group she could think of in the area to see if they had taken him but never found him. I contacted the SPCA of SWMI and requested an interview. I spoke on the phone with Joni Smith who said she is the acting president and treasurer for the SPCA of SWMI. Ms. Smith told me she was very proud that the shelter is an approved Rescue Waggin facility. I asked her about dogs with behavioral issues and she said, “If we consider euthanasia, it’s a very last resort”, performed only after consultation with board members, 2 veterinarians (to rule out possible medical explanations for aggression) and their volunteer behaviorist/trainer. I wanted to ask her about each individual dog Ms. Faulkner had written me about, but Ms. Smith declined. She did speak to me about 3 of them. Ms. Smith basically described Artie as kennel crazy and said he “attacked” a 12 year old sleeping boy, unprovoked. She admitted the boy was not hurt. Cobalt had a bite history and was “very aggressive” according to Ms. Smith. 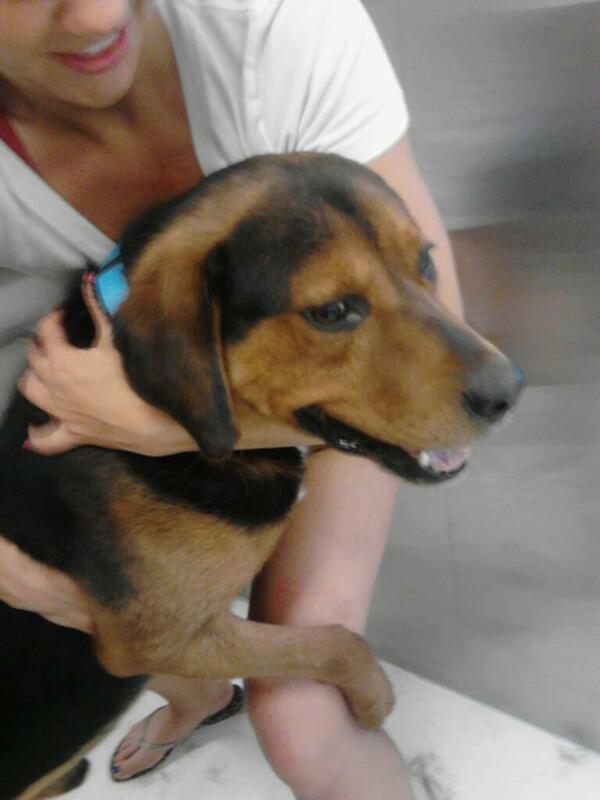 Buddy was returned by the second adopter because he bit the man, per Ms. Smith. A rescue group in Benton Harbor that specifically works with aggressive dogs was contacted about Buddy but said there was no hope and they could not help him. She also disputed Stephanie’s claim that Buddy was a puppy. She said she didn’t know his exact age but he was definitely over one year when they got him. And she confirmed that the SCPA of SWMI killed him. Ms. Smith’s description of the process for determining when euthanasia for aggression is warranted seems to be in line with this internal “Quality of Life” document provided by Ms. Faulkner. I asked about getting copies of the records for the dogs who had been killed. Ms. Smith said that the vet consults were often verbal and notes may not have been made. I specifically requested to see the behavior evaluation sheets that most all behaviorists, regardless of methodology, use when evaluating dogs. She declined. I suggested that providing records which documented the extensive efforts that she says were made to save each of these dogs would be helpful in showing that the dogs were treated with compassion by the SPCA of SWMI. She again declined and said that she felt she had provided me with enough information. Before she ended our conversation, Ms. Smith described Stephanie Faulkner as a “disgruntled ex-employee” whose internet postings about Buddy “included profanity, name calling and untrue information”. Ms. Smith said the police were called because, based upon the posts, the director felt “afraid for her personal safety and that of her daughter”. She said Ms. Faulkner “broke into” the facility to take pictures of Buddy. When I tried one more time to express how valuable sharing the information in the dogs’ records would be, Ms. Smith told me she felt comfortable having my readers decide whether to believe Ms. Faulkner’s claims in light of the information Ms. Smith had given me. As of this posting, Ms. Faulkner has not heard from the sheriff’s department again. No charges were ever brought against her. She has not heard from the SPCA lawyer. Ms. Faulkner now works for an animal sanctuary in MI. Lots of people off work today. Use this post to share animal related links, updates, questions, stories and deep thoughts. Shallow thoughts also accepted. Screengrab from Twitter, submitted by Kei. The Warren Co pound in TN photographs pets upon intake, like many facilities. The problem in Warren Co is that the animals appear to have been starved and injured after the intake photos and before being pulled by rescue. No one at the pound would speak to the local news but animal advocates speculate that the dogs are given little food and get into fights with other dogs trying to get at that food in order to stay alive. Animal advocates also filmed an open pit behind the pound which is filled with dead dogs, many of whom appear to have starved. Additional details and disturbing images can be found on the FB page of the local Humane Society. This is the latest in a lengthy history of abuse claims made by animal advocates against the facility. Nothing ever seems to change at the Warren Co pound. If you want to let the county mayor know how you feel, please keep your comments respectful. We can condemn the allegations of cruelty and needless killings in the strongest of terms while maintaining a level of professionalism and civility. Some not-too-well-endowed man in Memphis was caught on video beating his Pitbull for chewing on his car seat. He was charged with cruelty but apparently MAS did not see fit to protect the dog from him since the owner still has him. The owner told the news that everybody beats their Pitbulls and he will continue to treat the dog however he likes. Roughly 30 dogs have gone missing in recent months in southern Idaho including one who later turned up dead, the remains covered with a purple cloth. […] plans to form a task force to […] study the effects of adoption verses euthanasia. Study away. Be sure to poll the pets. No actual dogs in the video unfortunately, but there is an elephant painted on his guitar. So there’s that. After posting yesterday about Truffles, I heard from some additional animal advocates who are concerned about killings at the Humane Society of Memphis and Shelby Co, a private shelter in TN. Apparently the planned killing of Truffles is not an isolated incident. 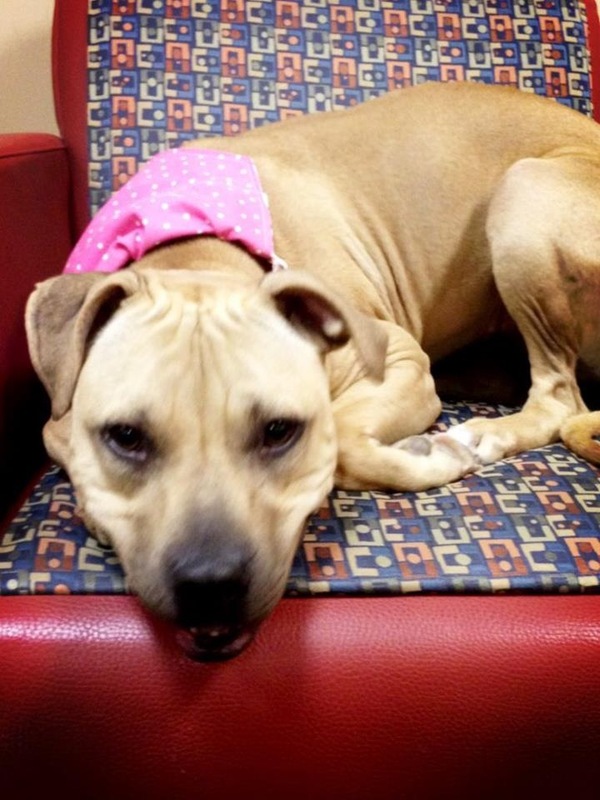 Toffee, a littermate to Truffles, is also reportedly slated for killing by the HS. 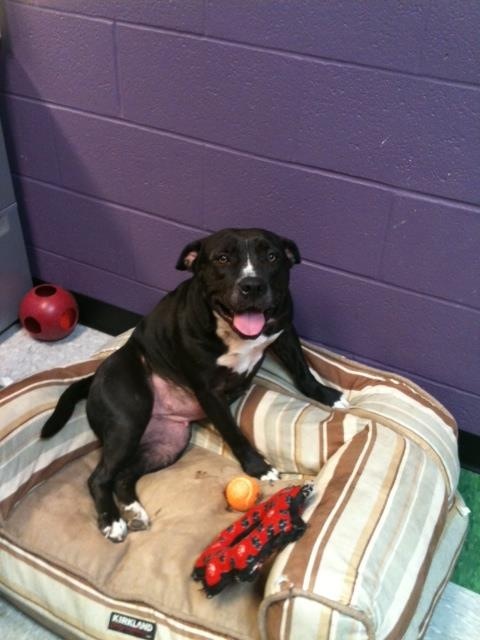 Her Petango listing has been removed but she can be seen in a recent local news segment as “Pet of the Week”. 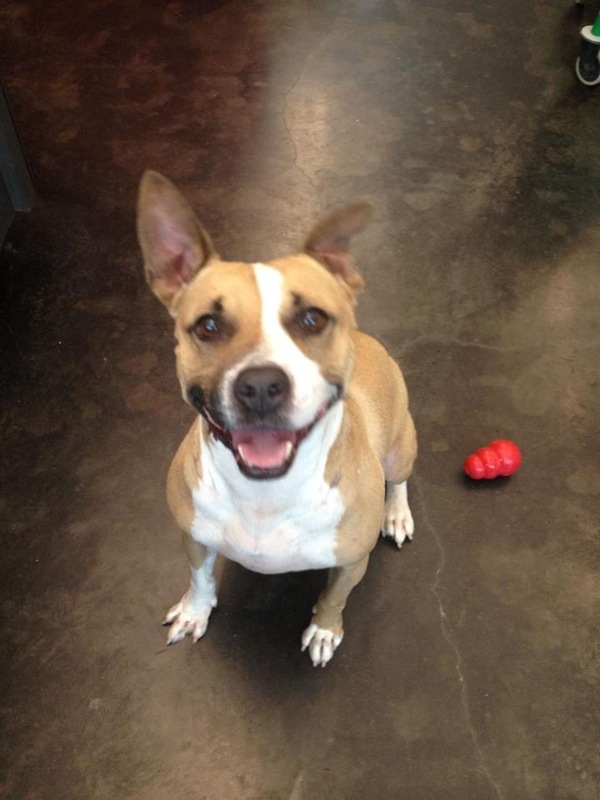 Joy is another dog who is reportedly going to be killed by the Humane Society of Memphis and Shelby Co. I don’t know why the HS would kill either Toffee or Joy. I still haven’t received any response from the HS so I haven’t been able to ask them for their side of the story. 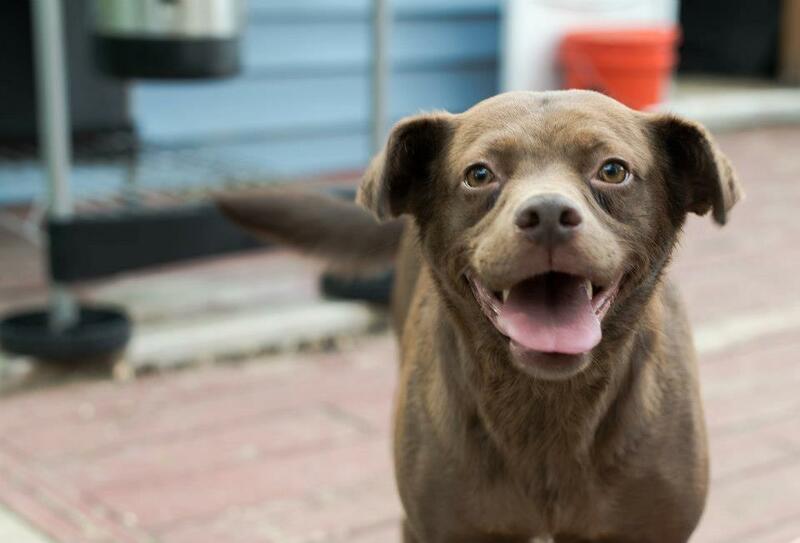 [T]he Humane Society launched the Anakin’s Buddies program, which allows volunteer dog walkers to sponsor the adoption fee for a rescued animal at the humane society. Again, I have been unable to ask the HS about these allegations since they have not responded to my queries. I am not an attorney but if the accusations of pocketing cash paid by volunteers, purportedly to help dogs get adopted who are instead killed, are accurate, it sounds like fraud to me. It reminds me of Boggs Mountain, the place in GA that was scamming financial sponsorships from the public for dogs they were taking over to the pound to be killed. This is the first time I have heard of a shelter allegedly scamming money from its own volunteers. I think they call this Rock Bottom. Is there anyone willing to advocate for Toffee, Joy and Truffles? Tell the Humane Society of Memphis and Shelby Co, in polite terms, that all dogs have a right to live and that killing healthy/treatable pets is inconsistent with their mission as a so-called humane society. Remember to keep your comments respectful. We can condemn the allegations of wrongdoing in the strongest possible terms while maintaining civility. 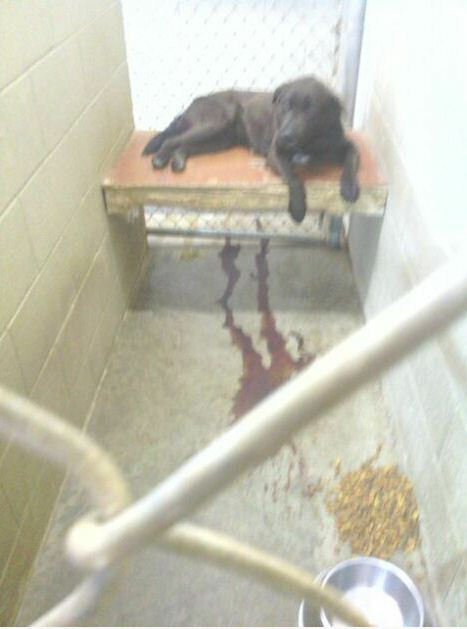 Screengrab taken from a blog allegedly depicting a sick dog at the Lawrence Co pound in Ohio. This dog reportedly died in his cage, never receiving vet care or even having water in his bowl. Read how the “Friends” of the Lawrence Co pound attack the photographer and enable the neglect and suffering at the facility. It sounds like the pets at the Lawrence Co pound need some friends in their corner, advocating for their rights, not covering up the abuse.